Make the Most of Your Time with Your Children. On the day of their baby dedication, Eryn and her husband were given a jar of 936 pennies. The jar contained a penny for every week they would raise their child until graduation, and they were instructed to remove one penny each Sunday as a reminder, placing it into another jar as an investment. At some point every parent realizes time is moving swiftly, and they ask themselves, How am I investing in my child? 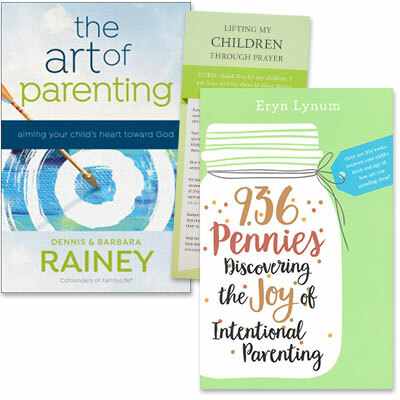 Through personal stories and biblical examples, 936 Pennies will help you discover how to capture time and use it to its fullest potential, replacing guilt and regrets with freedom. Meanwhile, your kids will see how simple choices, like putting the cell phone down and going on a family hike, will make all the difference. Together you will stretch time and make it richer.